After a couple of fantastic indoor meets, I looked at UWSP’s indoor schedule, and saw they were hosting a Final Qualifier on March 2nd. It was a college meet, but also open to Unattached/Club athletes. As a Final Qualifier, the purpose of this kind of meet is to have one more chance at getting marks to qualify for Nationals. The field size ended up being ideal, but the starting height reflected the fact that it was a Final Qualifier. There are college meets that may have opening height in the 8-9 foot range, but this meet was starting at 10-9! I usually start at 10 feet, so this was a little steep for opening height for me even. With UWSP only being a 1:40 drive from home, it was too enticing to pass up (much better than the 4 hour drive to Bethel for the last one). Walking into a college meet to compete brought out two strong feelings: nerves because it brought back college memories, and it also made me feel really old! I was surrounded by such youthfulness! While all these college vaulters had the advantage of being able to practice and have a coach, I had the advantage of experience. The nerves quickly died down once we got started. If nothing else, I have come to rely on the consistency that comes with 14 years of vaulting. I was also determined to strive for any edge I could gain, which included going all the way back to a 14 step (7-left) approach for the first time in 9 years! Out of 13 vaulters, only one passed the first height. I was the fifth in the order, but the first (and possibly only) one to clear the bar on the first attempt. Only 7 girls even made opening height. At 11-3, one girl cleared it on her first attempt. I cleared it on my second attempt, and the third girl who went on, cleared it on her third attempt. While the winner went on to clear 11-9 right away, I and the other girl failed to clear it, which left me as second overall! At a COLLEGE meet. While of course I was really hoping to make 11-9, I also need to keep it in perspective that my only practices have been at these meets, and I have done REALLY well! I am super excited to get into the summer season and see what I can do! After such a great time at the USATF WI meet, I decided to squeeze one more meet in for this indoor season. There was an all-comers meet hosted at Bethel University, and while that’s a solid 4 hour drive, it’s also where I spent a year training during my internship year, which added to the appeal with a return to the old stomping grounds. It took a few days to recover from the last meet, but now that I had a recent meet experience under my belt, I was hopeful that I could turn up similar results again. It was a large field, with 20 total vaulters, and the entire meet was run co-ed. Despite the long line for warm-ups, I felt good going into competition. I cleared 10’ and 10’6” on my first attempts. Mentally, I was already happy with how I was doing, even though I knew I wanted more from the day yet. I made 11’ on my second attempt, and got some decent height on my 11’6” jump, with plenty of room on top, and while I bumped it on my way down, the bar stayed up! Alright, I’ll be honest. It was actually in metric at 3.50 meters, which puts it 11’5.75”, but close enough! February 6, 2010 – My one and only other meet I ever had at Bethel. I was a senior at Concordia. I won the pole vault with a vault of 3.50 meters as well! Here I am 9 years and 3 kids later, and I just jumped at the same place with the same height. I ended 4th overall and 2nd female. This really shows that what I’ve been doing in the weight room has done wonders! Triathlon is still on the fence a little bit for this summer, but I do know for sure I will be shooting for a new lifetime PR of finally clearing the elusive 12 foot bar! Other fun highlights from the day included dropping 4 seconds from my 800m time for a 2:47.62, in a very large heat of 16 athletes. My state miler, a senior this year, also ran a 4:48 mile and followed it with a 2:11 in the 800m. He will be starting this season off fast. 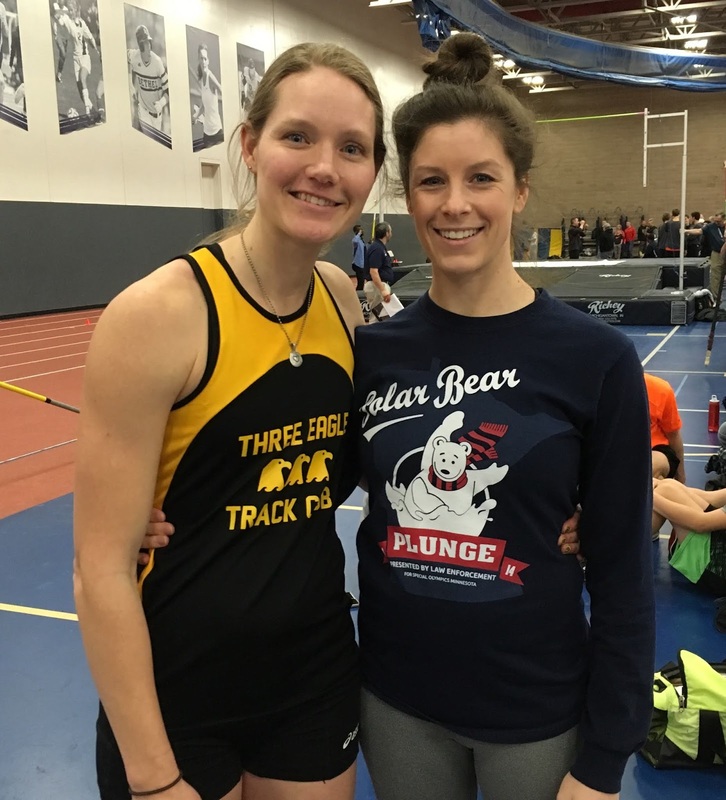 Since this meet was in the Twin Cities area, I also had fans, which included Andy’s family, and my dear friend (and also a former Golden Bear trackster), Katherine, who will hopefully be re-entering the track scene with me next year! Now the tough part will be waiting 4 months to finally compete again! Customized gift for our friends with their dog & her giraffe! Since the 5K in October, I have been focusing a lot on weight lifting, while still pressing on with the my weekly threshold run work (something I thought I was ready to drop for a few months at least and then didn't). I am looking forward to my own track season this year and I’m hoping that the work I am doing (especially with the work in the weight room and high bar pole vault drills) pays off. My swim has been pretty minimal and I have yet to venture back onto the bike. I have, however, been ice-skating a lot with the kids, and have taken up painting again! I used to do a lot of artwork in high school, and haven’t done a lot since then. I have really gotten into water coloring lately though, did a series for my youngest, a few gifts, and then turned out a recent favorite portrait. Do what you are passionate about, right?! My plans for this year include a LOT of pole vaulting, including the summer meets our Club hosts, Badger State Games Track, the River Vault, and this year I would also like to compete in the USATF Masters Outdoor Championships since it will be held in Iowa! 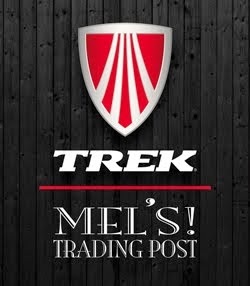 Will I venture into the triathlon world again this year? I have been asking myself that a lot lately. I qualified for USAT Nationals, held in Cleveland in August, with my High Cliff Half victory last summer. If I race, it will be another one-and-done season with Nationals. The question is whether or not I have the motivation to put in the work to race it. I would want 6 months of training for it, so I would need to decide soon if I’m hopping back on that bike soon! I could also approach it like High Cliff, where I trained early on before deciding to fully commit or not. Looking further ahead, World’s are being held in Bermuda in 2021, which means racing Nationals next year in order to qualify, which means I would need to qualify prior to racing that as well. I could also shoot for World’s in Canada in 2020 as well. Or I could do none of that. I really love the way that triathlon training makes me feel. I also really LOVED World’s in Cozumel and everything that came with that experience. Triathlons can also give you really good perspective on life. I have reflected back on my High Cliff experience a LOT, and I think there are a lot of great takeaways from going through that. I love the challenge of it. The best things in life are the things that challenge us, excite us, and have the power to at times, even change us (sounds a lot like parenting!). That’s what I also love about pole vaulting and painting. So this year, find what challenges you, excites you, and has the power to change you. Happy New Year! Seven weeks after giving birth to Baya in 2013, I ran a big 5K PR of 20:14. 2013 was a fast year for me, and I only hit that time one other time. After I gave birth to Rowyn in 2017, my hemoglobin and iron had dropped drastically, and I spent 5 weeks getting weekly iron transfusions. I thought I would never run fast again, or compete in a running race. I thought I would never run more than 3 miles again! Fast forward to this summer, and I won the High Cliff half-iron triathlon (a definite shift). In August, I ran a timed mile in 5:57 (a 2-second PR). I got the itch to run a 5K again. Could I break 20 minutes? 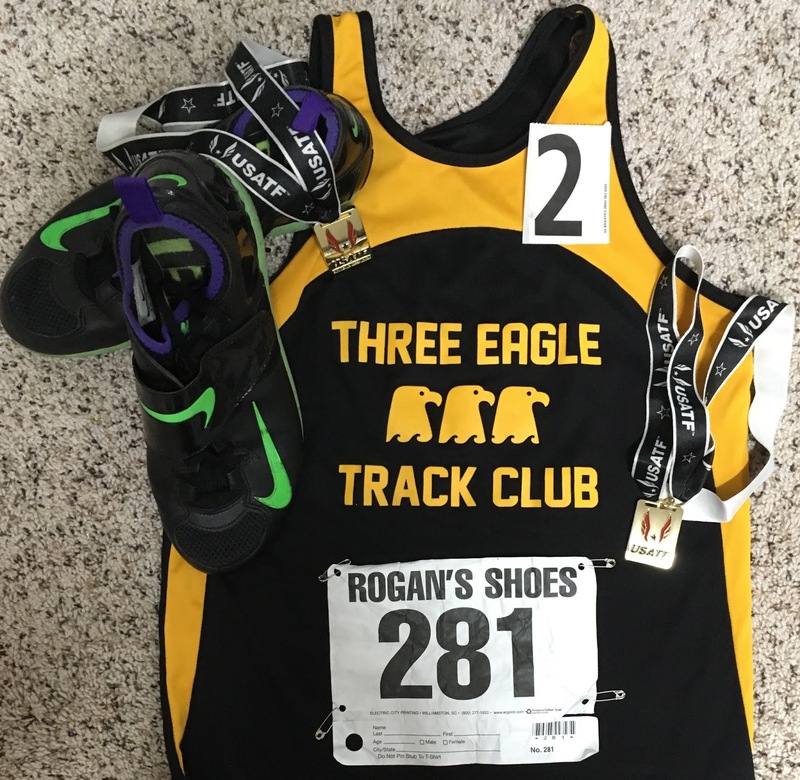 I ran the Three Eagle 5K this past weekend. I say this in context because it has been a long journey. Sometimes you are sitting at the bottom and you don’t even want to try getting up again. But slowly, and surely, something still stirred within me. The desire to push my limits to see what I am capable of – never died when I was sitting at the bottom. It makes every climb back up all the more victorious though. Life has been busy with volleyball, and relishing the family time I do get, so I didn’t pursue any other 5K’s. That, and I knew ours (I’m the Race Director if you don’t know) would be a flat and beautiful course. I had a time goal going into it, not a placement goal. You never know who will show up on race day, after all – that is outside of your control. The question persisted – could I break 20 minutes? That would be a significant time drop, but worth the pursuit. You can’t succeed without risking failure. So I risked it. I lined up at the front on that crisp morning, and I risked missing my goal. We started off too fast of course, and I told our young starling of a runner so. At that point, our male state athlete was long gone ahead of us, and there was only one gentleman still ahead of us. A lady then pulled up beside us and I realized that at that point we had (naturally) fallen off our pace to being too slow. I picked it up and left everyone with me behind. I was racing the clock at that point anyway. Glancing up, the trail was the most beautiful tunnel of fall colors. I watched my pace and tried to push. After the final turn, I knew I would not break 20 minutes on that day, but I was very close to my PR time. With a final push, I came in with a 1 second PR of 20:13, and ended up being the 1st female overall, and 2nd overall finisher. It was worth the risk. And somehow, 5.5 years and 2 more kids later, I am just as fast as I once was. I didn’t break 20 minutes, but I gained a lot – a renewed belief in myself, and hunger to see what else I’ve got in me.